We launched a new online shop concept, where the authentication and the opening of an account on the site is not necessary. You are free to shopping, you'll be able to order quickly, without losing minutes to create your account! The conditions for the return of the item if you no longer want it. The payment can be fulfilled through one of the following options: PayPal, credit card or via bank transfer in our bank account. 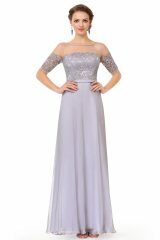 Have you seen a dress that interests you? 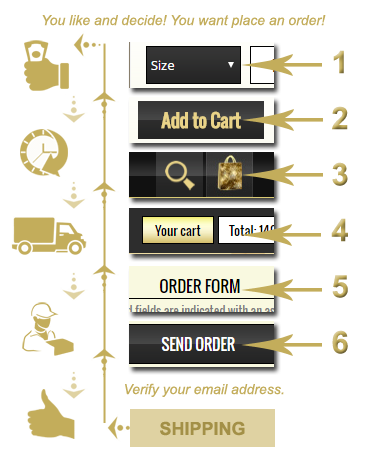 Then select the right measure after you have consulted the sizes guide displayed on each page of the item, and click on the "Add to cart" button. In a moment the selected item will be already in your shopping bag. 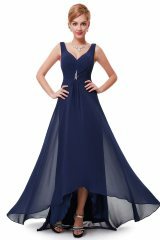 If you wish to view other dresses and continue shopping, you can surf the other pages of the site and your selected items won't get lost but will be already saved in your bag. If you have finished shopping, go to your bag and click "Place order". Here you can see and verify the added items, you can make changes or give up an item that you do not like. Fill in the order form with all your identification data for the invoicing and shipping. Read the terms and the conditions of the site, then click "Send order". Upon completing the order, within 24 hours (except holidays) you will receive an email information about the item availability, shipping and an invoice that must be paid. After the receipt of the payment, the item you ordered will be delivered accurately. Our facebook page www.facebook.com/jrv.exclusive is very interactive, so we can get to know better! 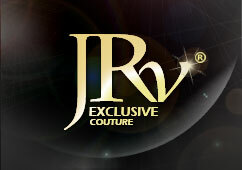 Here you can see all the news, and we can offer any feedback about JRV Couture Exclusive items! Please like before releasing an order to study our items to make sure you have made the right choice! It is very important to browse the sections on table sizes, shipping, return, and when placing the order to know the terms and the conditions of our store! 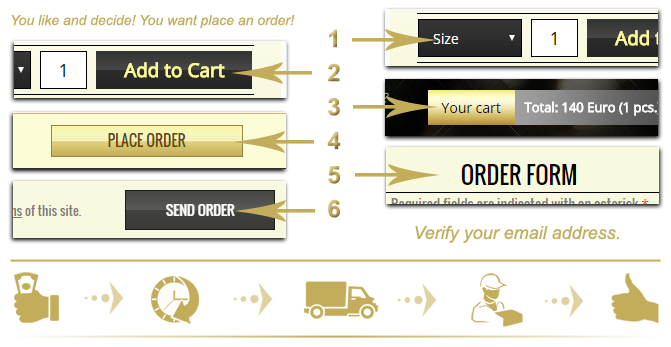 Order the desired items easily and quickly!